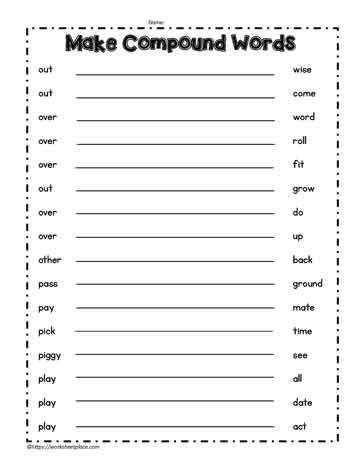 Compound word worksheets for common core and home school curriculum. A compound word is a word made by using two words which are often unrelated. Something, anything, outside, inside, cupcakes are all examples of compound words.